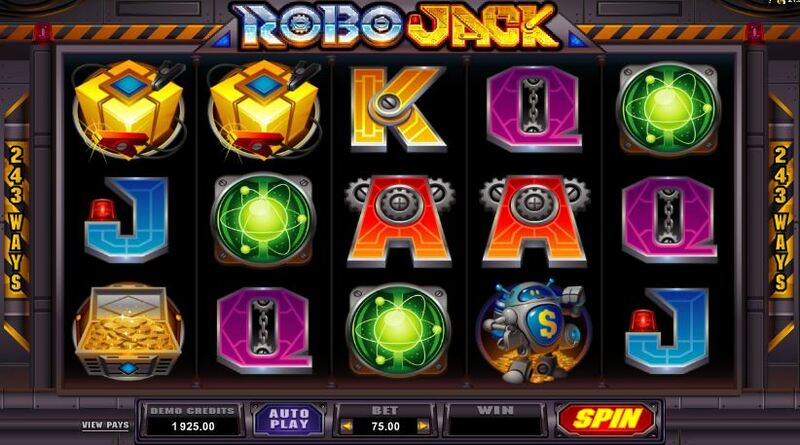 Robojack slot 243 ways of metallic mayhem from Microgaming! 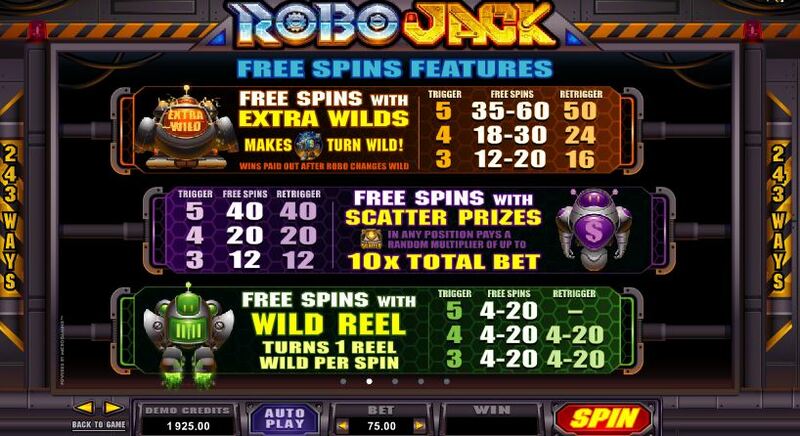 There are 1x Wilds on all reels and like Thunderstruck 2 slot there are multiple free games options, in this instance 5. 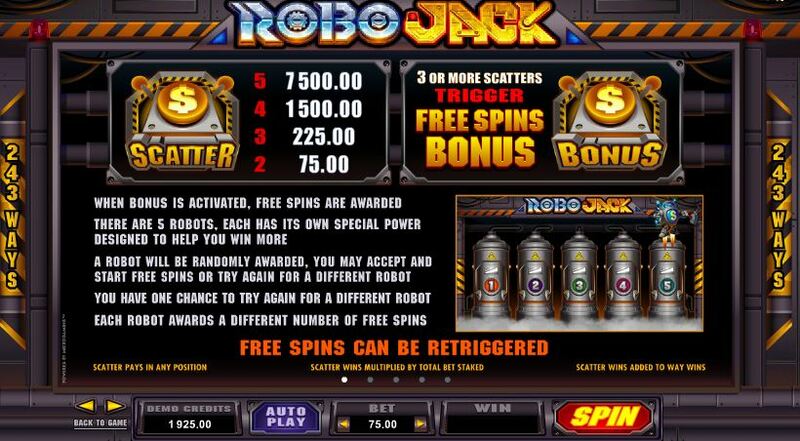 You need 3 scatters anywhere to start this bonus and choose from 5 different metal cylinders. You get what the game selects but there is one chance to change selection which may or may not award a different option of the 5 possibilities. 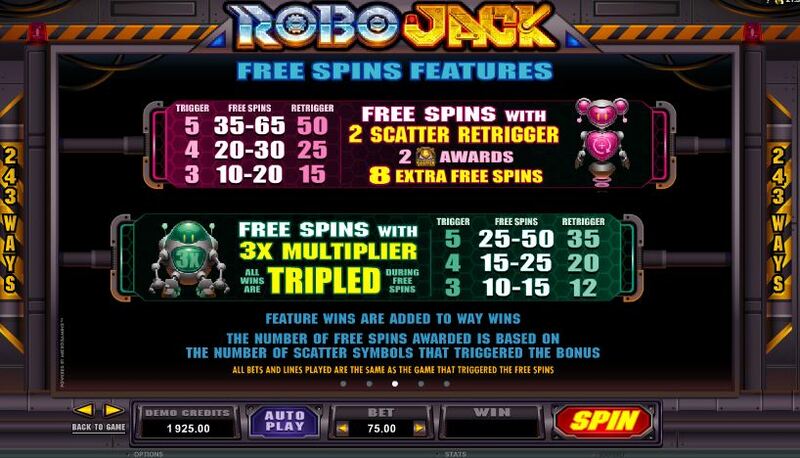 The 5 types are: 12 to 20 spins with extra Wilds via Robojack landing, 12 where any scatter landing awards up to 10x stake, 4 to 20 spins with one Wild reel each spin, 10 to 20 with 2 scatter retrigger awarding 8 more spins and lastly 10 to 15 spins at 3x multiplier. All can be retriggered! RTP is 94.26%.